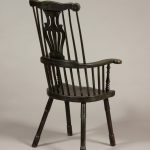 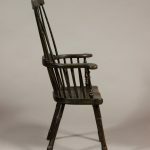 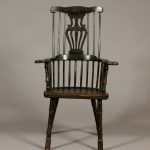 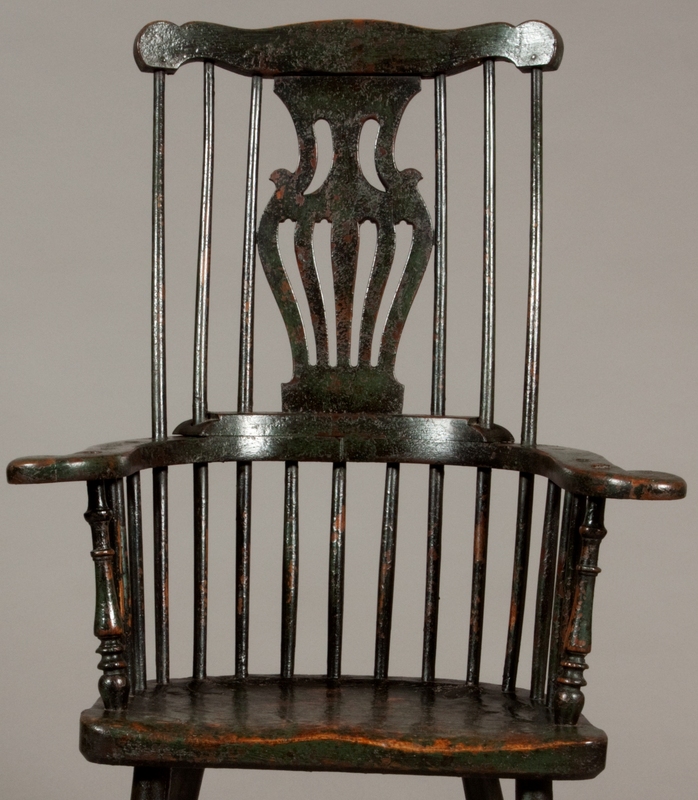 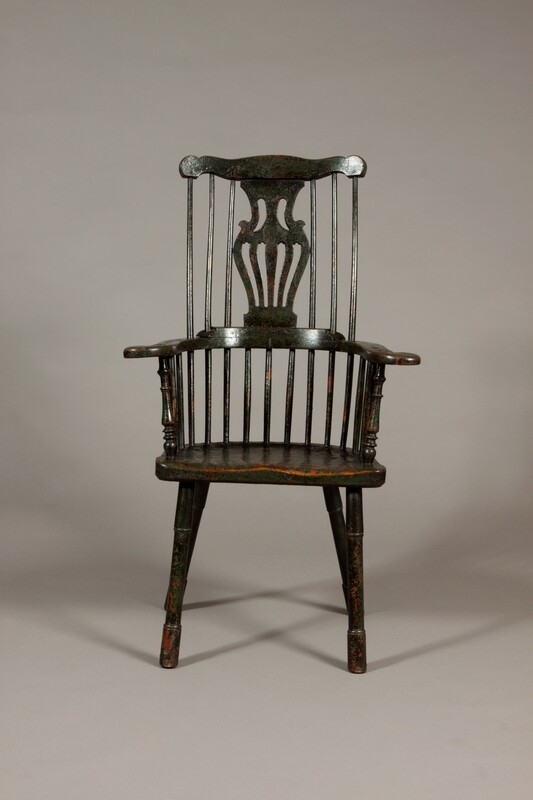 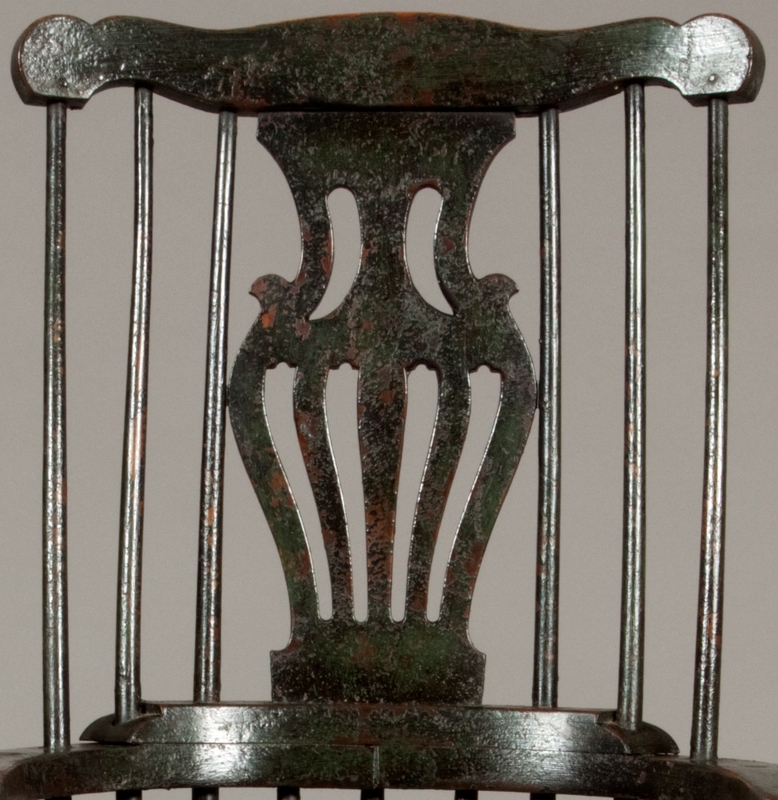 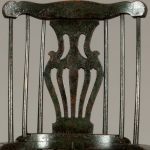 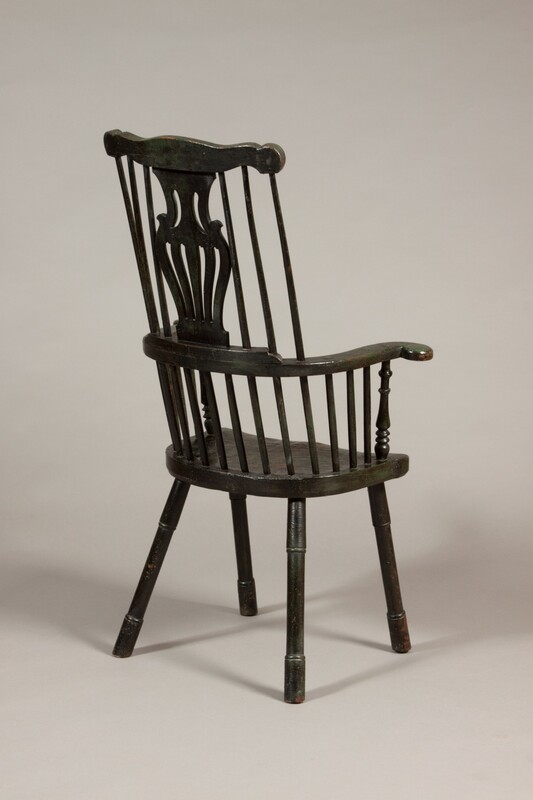 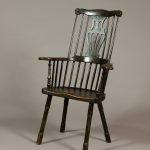 A very good late 18th century English comb back Windsor chair. 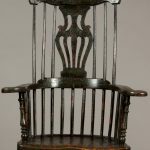 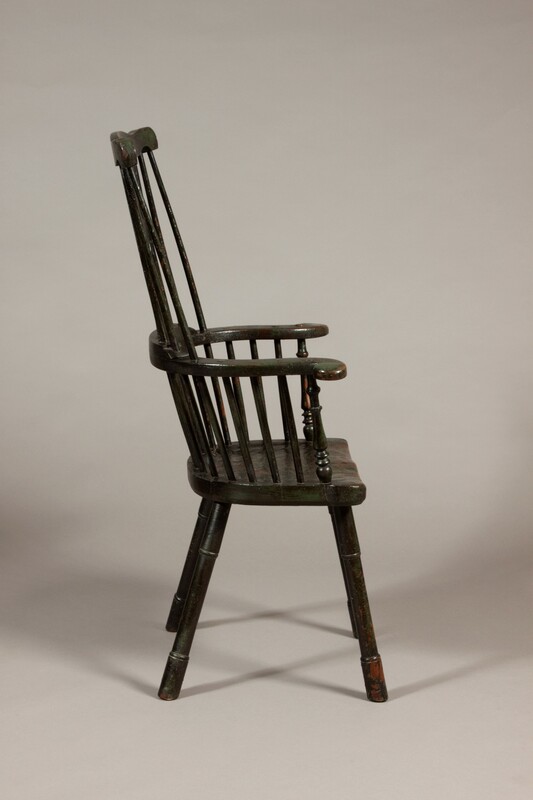 This wonderful chair has a well shaped top rail and a bold pierced “Country Chippendale” style back splat, horse-shoe shaped arm with turned supports, a saddle-seat and turned legs. 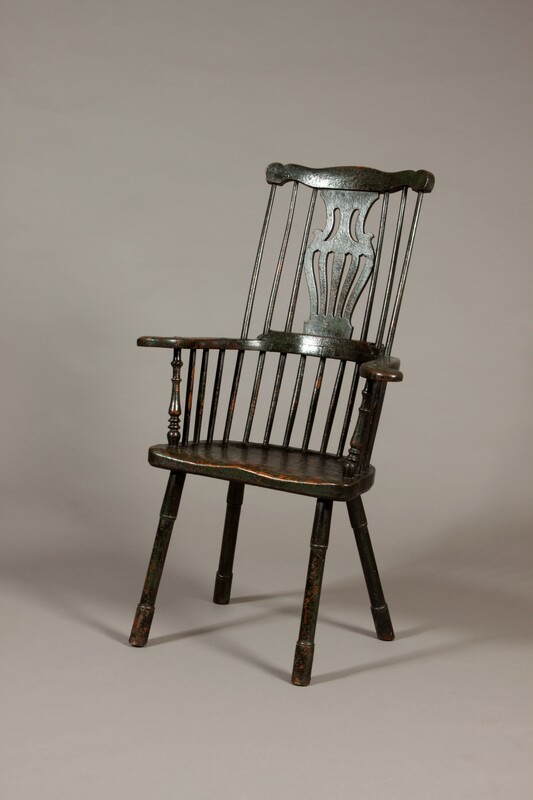 Made from ash and elm and still retains much of the original green and later black paint.